In the spirit of my 2012 blogging schedule, I’ve created a new feature: Good Reads Thursdays. I already talk about books I love fairly often; I’m just being more organized about it now. And if you know me, I like organization. I wish that I had so much time to read that this could be a weekly occurrence, but it will more likely be more of a monthly thing. 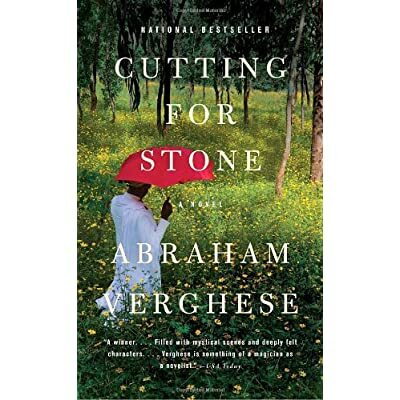 Following in the footsteps of awesome ladies who have done this before (E. from Academichic, Emily of Academia Sartorial, and Katie of Interrobangs Anonymous, to name a few), I based my outfit on the book I recently finished, Cutting for Stone by Abraham Verghese. Cutting for Stone wasn’t love at first read, let me tell you. It took me a while (a long while) to get into it, but once I did I could hardly put it down. A fellow reader I trust (Victoria) mentioned that while she loved it from the start, she’d heard others say the first hundred pages or so were slow-going. That gave me the resolve to power through, and I’m so glad I did. I wish I could give you a beautiful, concise plot synopsis, but anything I say won’t be enough. Yes, it is the story of twin boys, conjoined at the head at birth, born in Ethiopia. It is the story of their birth mother, an Indian nun, and her love for an English doctor. It is also the story of how the two brothers follow in their parents’—both birth and adoptive—footsteps to pursue careers as doctors. Yet what I loved most was simply the dynamic between Marion and Shiva (the twins), as well as the other family members. This was a truly beautiful book.